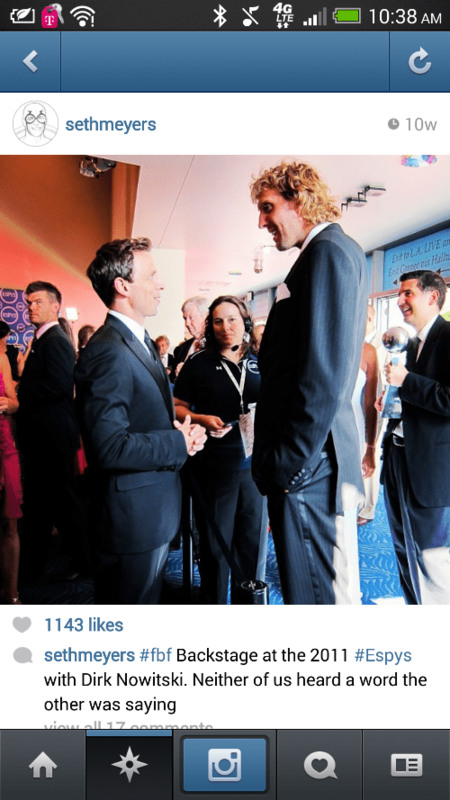 Just Seth Meyers and the greatest basketball player of all time chatting it up. I wonder what they talked about? Probably about how Dirk is going to be a guest on Late Night every day until the end of time and how they can’t wait to listen to ‘Endless Love’ like all best friends do at one point or another. My beautiful boys all grown up. Posted on February 4, 2014, in Average Blog Posts and tagged dirk, instagram, Meyers, Nowitzki, seth. Bookmark the permalink. Leave a comment.